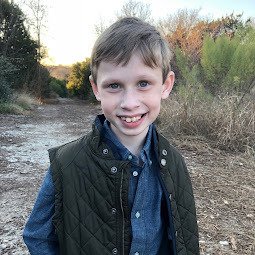 Bennett Brinson Gamel: Fighting Cystic Fibrosis: What's it like to live with Cystic Fibrosis AND hope everyday? What's it like to live with Cystic Fibrosis AND hope everyday? Bennett has finally settled in to his nightly sinus rinses. 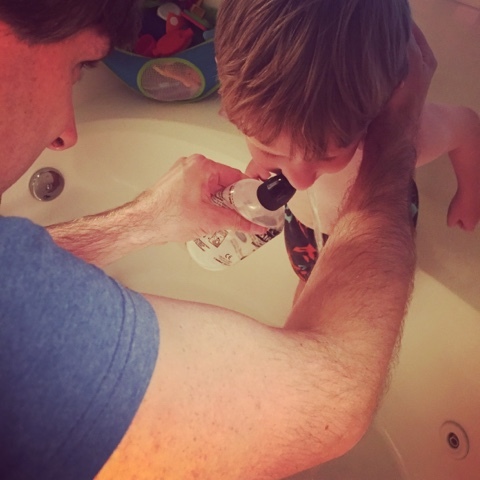 A fellow CF mom had suggested that we do them during bath time, which is very helpful. He is very brave every time he does them and says they even feel good. We have gotten pretty good at doing nasal rinses at night. 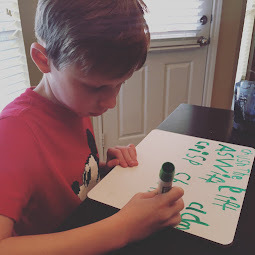 But it's hard to get them done in the morning - in addition to his doing his breathing treatments, taking his medicines, eating breakfast and rushing to get out the door for school. So, Brian and I are just giving ourselves grace and doing our very best. Our goal is to do them twice daily. But that's a lot to ask of a 5 year old. I often wonder what it's like to be Bennett. What must it feel like to live with CF every day? To have to do treatments and worry about taking medicines daily? What is it like to live with a disease that is most certain to shorten your life unless there is first a cure? My friend Oli Rayner does a great job providing some insight into what it's like to live with CF. Oli is an adult with Cystic Fibrosis and recently wrote a forum post about what it's like to live and act hopeful while knowing the disease is fatal and progressive. "I think one of the toughest things about living with CF is the psychology and trying not to let your fears of the future undermine your experience of the present. You are born with a defective gene and even though you may feel fine now you know that as time goes on the gene will express itself more and more and probably kill you when you have only had half the life of a normal person. The psychology of that is really complicated and challenging. It is not like other diseases where you suddenly feel sick and then find out why and do things to make that feeling of sickness go away. 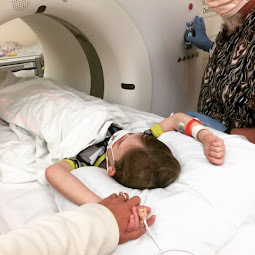 Often with CF, you get the diagnosis before you feel sick - you feel fine and learn about the horrible things that will happen and the boring, unpleasant things you have to do every day to try to stop the horrible things happening. It is like a Sword of Damacles and it can be a bit terrifying. But if you stay focused on what you can do today (not what you can't do or what you might not be able to do in future) and what you can do today to make yourself stronger, you can feel great power and unexpected things can happen. If you have a bad patch it is very hard to know if it is a temporary "blip" or a new normal. Is this the "beginning of the end" or just an unlucky spell? This makes it very hard to manage life, career and relationships because to do that sensibly you do need some sense of your baseline capacity. I do feel clinicians are too quick to run with the progressive disease narrative (i.e. encouraging us to think new normal vs blip). I believe this can be a self-fulfilling prophecy sometimes. I expect this "downward curve" psychology may be related to the fact clinicians always feel they need to make us understand the "reality" of the condition and the importance of doing all the treatments. I wonder how the dialogue and background psychology might change if adherence was not the elephant in the room. The cruel irony is that more positive discussions (what can we do today rather than what might happen in the future) might actually help with adherence too. If you look at how CF outcomes have changed over the last 40 years with median predicted survival increasing from about 5 to 40, it is likely that, at any given point in time, professional consensus expectations around "what life holds for someone with CF" will be based on backwards looking data/observation and therefore lagging the prevailing reality. Apart from anything else it usually takes years for data to be analysed, published and propagated through the community so even data that the community treats as "current" now is likely to be out of date. This problem will become amplified (changes in consensus expectations around "what life has in store for someone with CF" will happen faster) as new disease-modifying treatments come through the pipeline and our collective psychology will tested even more. 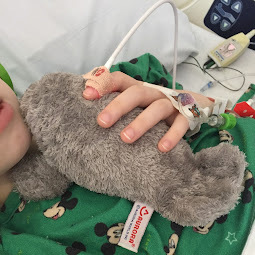 I have certainly had periods where things have been very tough and I have been in hospital a lot with one bout of infection after another thinking my life is basically over. But it turned out to be a blip and I got better. It was not a new normal - I got back to the old normal through some small practical changes, hard work and a very stubborn attitude that says I don't accept that I can't get better. How great would it be if we sat down with our clinical teams and asked what can we do to move lung function up 10% over the next 6 months or some other positive target that aligns with our life goals and for clinicians to really respond to that rather than saying things like "well you have to understand CF is a progressive disease, etc etc." I am a realist, sometimes brutally and it can cause problems with those around me who like reality to be dressed up a bit, but I am also a very positive person. I like to think of it as enlightened positivity. What is our situation today? Where do we want to get to? What tools do we have? Let's go! In my view, the psychology of CF is very poorly understood and it is an area that needs much more research. There are a lot of unspoken assumptions that color the way we think and behave. Those assumptions may be wrong and they may be causing unnecessary harms or blocking achievable gains. I love this idea of unwinding CF."